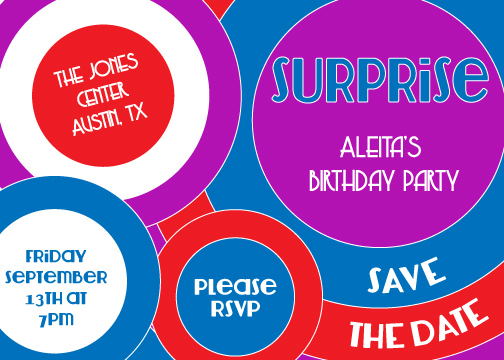 The Save The Date invites for Aleita’s birthday weekend were based off of inspiration from Hotel Saint Cecilia, where many of the guests were put up for the weekend. 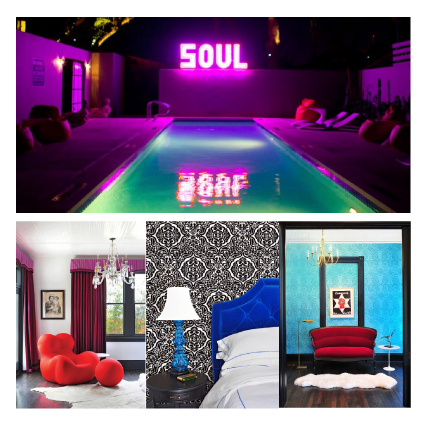 Hotel Saint Cecilia is a unique estate turned hotel that features retro elements from the 50’s, 60’s, and 70’s, as seen in the photos below. The invites use the same bold colors found within the hotel decor. The invites also mimic the bold retro feel of the property. With two different guest lists for both Friday and Saturday’s events the need for two separate invites arose. The goal was to create a second invite that captured the theme of the event while remaining cohesive with the first design. The change in color scheme effectively created noticeably new design for those receiving both invites, as well as represented the beachy island party theme of Saturday’s event. 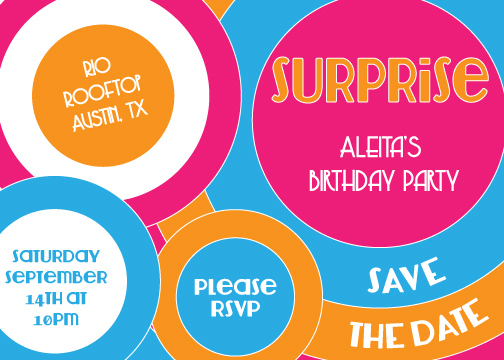 The Save The Date invites for Aleita’s birthday weekend were based off of inspiration from Hotel Saint Cecilia, where many of the guests were put up for the weekend. Hotel Saint Cecilia is a unique estate turned hotel that features retro elements from the 50’s, 60’s, and 70’s. The invites use the same bold colors found within the hotel decor. The invites also mimic the bold retro feel of the property. With two different guest lists for both Friday and Saturday’s events the need for two separate invites arose. The goal was to create a second invite that captured the theme of the event while remaining cohesive with the first design. The change in color scheme effectively created noticeably new design for those receiving both invites, as well as represented the beachy island party theme of Saturday’s event.